Excellent Sheep: The Miseducation of the American Elite and the Way to a Meaningful Life by William Deresiewicz uses abundant qualitative research along with his own experience to paint a picture of a dysfunctional system and offer suggestions for how to fix it. There is serious advice for students and parents so they can avoid the traps the system offers. The system does a disservice to elite students who are almost uniformly wealthy as it screens out children from lower classes. While the rich have always had educational advantages, the disparity is worse than ever. 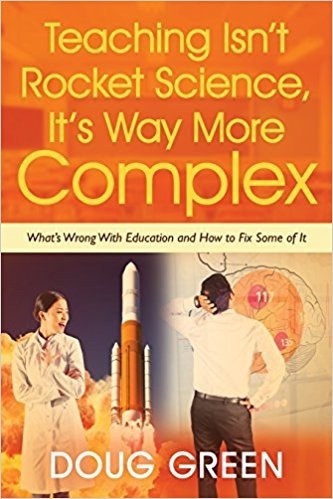 Click the icon at the bottom of any page to purchase this thought provoking book for yourself and any policy makers, parents, and students you know. William was a professor at Yale until 2008. He is the author of the landmark essays The Disadvantages of an Elite Education, and Solitude and Leadership, and the book A Jane Austin Education: How Six Novels Taught Me About Love, Friendship, and the Things That Really Matter. He is a frequent speaker on campuses around the country, a contributing writer for The Nation, and a contributing editor for The New Republic and The American Scholar. William believes that our elite universities have produced students who are smart, talented, and driven, but also anxious, timid, and lost, with little intellectual curiosity and a stunted sense of purpose. They are trapped in a bubble of privilege, heading meekly in the same direction, great at what they do, but with no idea why they are doing it. His real critique in the book is aimed at the adults who’ve made them who they are. He also aims to help students rescue themselves from the system. Even though it’s aimed a college students, there are good lessons here for high school students, their parents, and educators everywhere. The students in this book appear to be the winners of the race that adults have made of childhood. While they appear healthy, beneath the surface we often find toxic levels of fear, anxiety, and depression. Surveys indicate that emotional well-being has fallen to its lowest level in the 25-year history of the study with half reporting feelings of hopelessness, and a third saying that depression has made it difficult to function. There is also an increase in the use of antidepressants, antianxietals, and stimulants like Adderall. Starting in grade school they are constantly jumping through hoops that include school work, athletics, music, and other activities that leaves them no time and no tools to figure out what they want out of life. Once they get into a selective school, they often have no idea why they are there. They have learned how to be a student, but not how to use their minds. Most are good at coloring inside the lines with little or no passion about ideas. There life is all about the accumulation of gold starts, and they can’t imagine doing something that can’t be put on a resume. Rather than learning as much as possible, they seek to do as little as possible as long as they get A’s. Most students dress, look, and act the same so what passes for diversity looks more like 32 flavors of vanilla. The selection process produces students who have only experienced success, but this hides the fact they live with a constant fear of failure. They are risk adverse and are increasingly seeking fewer and fewer different majors. This entry was posted on Friday, December 19th, 2014 at 7:54 am	and is filed under Book Summaries, Education Books, Leadership Books. You can follow any responses to this entry through the RSS 2.0 feed. You can leave a response, or trackback from your own site.